« WWJD In Little Italy? An Abundance of Wu-Tang Related Memorabilia! 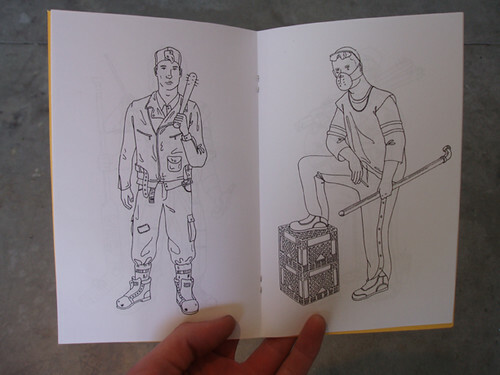 Truthfully, it was more of a leaflet than a book, but it was cool anyway. And, some of the characters were wearing some sweet professional sports jerseys! 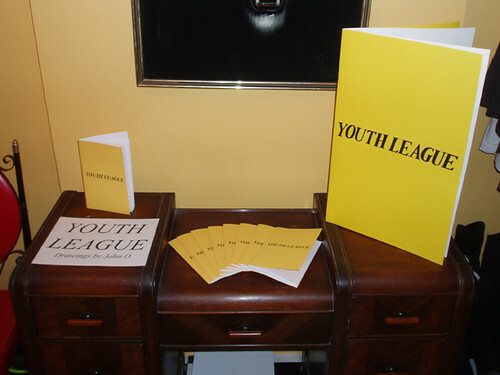 Youth League was printed in a limited edition of 50 copies and it sold out. Good thing I got my (signed) copy! This entry was posted on 2009 April 9 at 12:13 am and is filed under Art, Events, John O., Literature, Neighbourhoods, Penny Arcade, Portugal Village, Retail, Youth League. You can follow any responses to this entry through the RSS 2.0 feed. You can leave a response, or trackback from your own site.